The contents of the package are what you'd expect. You get the required four screws and power cord, naturally, along with a Seasonic sticker, a user manual with product data and safety references, and a cable bag for storage of the modular cables. The power supply is well protected by packaging and comes in its own bag. Seasonic prefers a large single-rail 12V design, rated at 62A (744W). As we've seen in other recent power supplies, the reason for the high rating of the 12V rail, which nearly corresponds to the total rated output, lies with the DC-to-DC conversion. All the smaller rails come off the +12V rail. 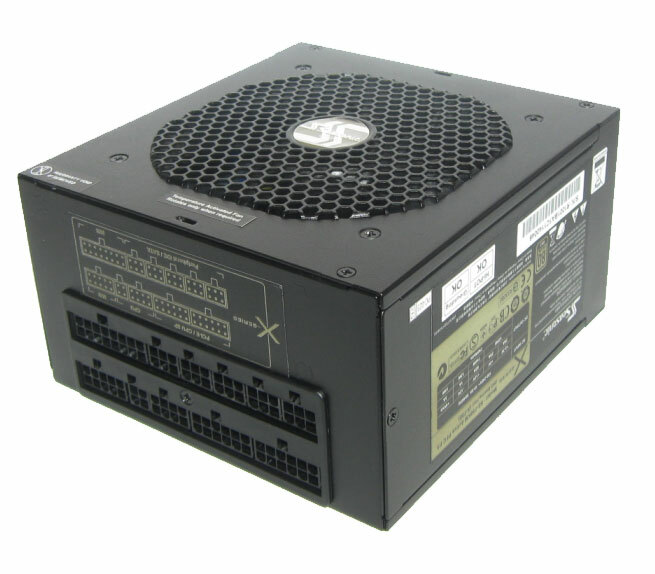 The small rails are rated at 25A each with a combined output of 125W; that's comparatively weak compared to some older PSUs, but since modern PCs usually don't need much from the low voltage rails, this will hardly be a problem. 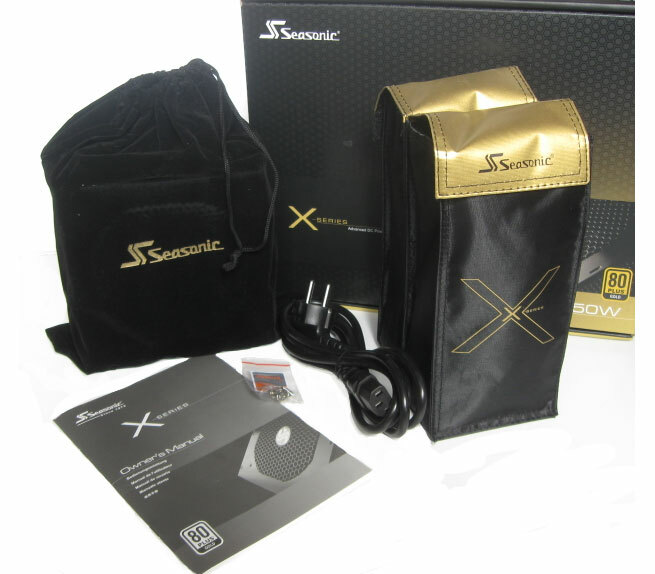 Seasonic likes to keep their power supplies very simple and eschews any fancy aesthetics like LED fans or custom paint jobs. 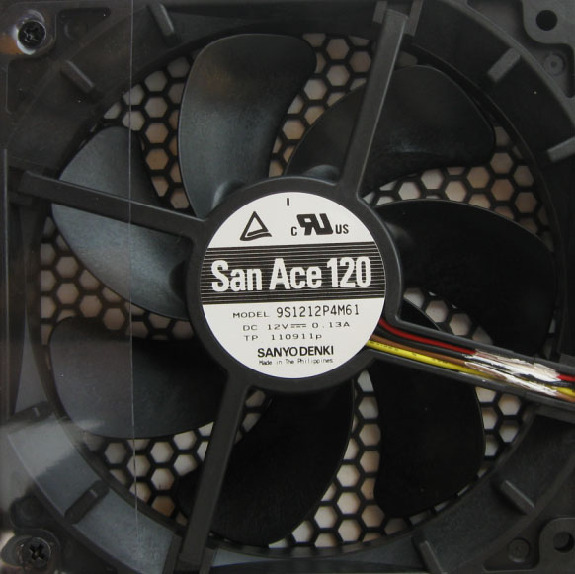 The X-series looks elegant and subdued, though there are some aesthetic improvements compared to the old M12D series like the honeycombed holes instead of the classical fan grill. Only a simple X-Series sticker and the modular sockets at the front interrupt the black color. The length of the casing is just 160mm, making the X750 much smaller than comparable products. As mentioned, Seasonic favors a fan with PWM control. They chose a 120mm Sanyo Denki 9S1212P4M61 with ball bearings and seven fan blades. The blades are rounded off in contrast to many other brands. The power consumption of the fan amounts to only 0.13A and a plastic guard blocks part of the intake area to help direct airflow. We spoke with Seasonic at CeBIT about how important the fan is as it's the only mechanical component in a power supply. When we asked how much the fan costs, sales manager Walter Sun simply answered wide-eyed and laughing, "It's very expensive." I like the plan for the future though, especially with power supplies since they last long. Sorry..my bad. 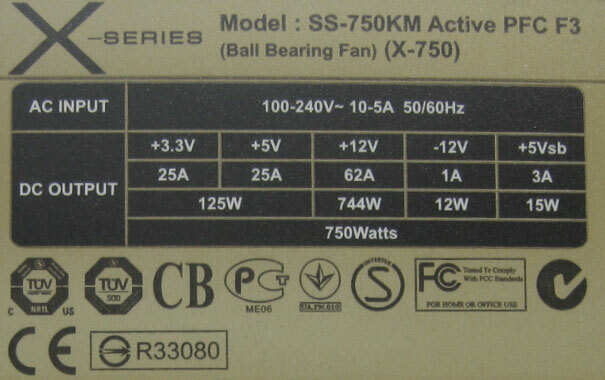 Corsair PSU is Silver...almost Gold. One important thing about the HX650 and HX750 PSU is that they're just shy of 90% effecient at a VERY wide range of loading. True, the Seasonic unit does do better at PEAK efficiency (if using 220v) by a few %, but if you're actually going to use a 750W PSU at any other load than this, the Corsair will save you $$ upfront and in the long run with lower power bills.